Click here to get my playlists via email, which I send out right before I go on the air each week. Click here to read Ed Piskor's graphic series, Hip-Hop Family Tree. Click here to see a cat and a bunny frolicking and cuddling. Click here to watch Prince make his guitar gently weep. Click here to read a funny, true article by Lindy West. 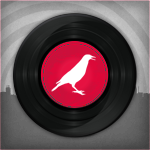 Click here to check out the CHIRP Store. Click here to donate to CHIRP.